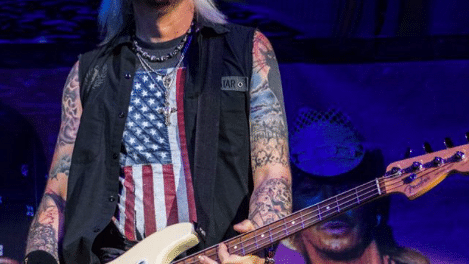 Poison frontman Bret Michaels and his solo band consisting of guitarist Pete Evick, bassist Eric Brittingham (Cinderella) and drummer Mike Bailey have reportedly completed a new song. “Just finished up the truly amazing new Bret Michaels song. This is the first track that Mike Bailey and Eric Brittingham have recorded with the BMB and it’s awesome. Mike does some incredibly tasteful fills and sits in the pocket perfectly. Eric killed it, but, really was there any doubt? I will say this, and I hope not to offend anyone, but, I’ve produced an incredible amount of music in my life,from local band demos to full on billboard charting superstars. I have found that the hardest thing to get right is the Bass, but what I have also learned is that it’s the one most least fixable uneditable thing on a record, So much of it is based on the actual players technique and dynamics, they don’t get to hide against an array of effects that us guitar players get to use. 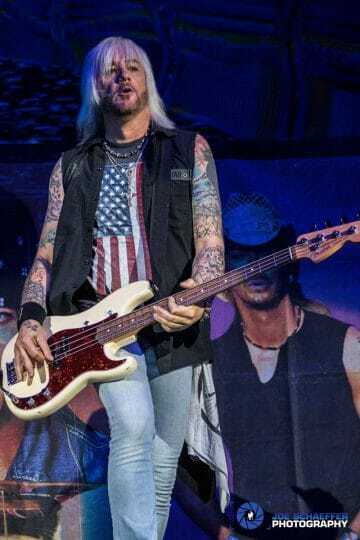 I’ve recorded many great players including my other rock and roll partner in crime Ray Scheuring, but I’ve been blessed with being able to mix records with Michael Anthony (Van Halen), Hugh McDonald (Bon Jovi) and now my brother Eric Brittingham and those 3 songs are my 3 favorite I’ve ever done sonically. So…. if your struggling with why your recording sounds like a demo and not a real record, start with the bass. Moving on, Bret‘s vocal is truly amazing on this track, he never ceases to amaze me. I used to put the “auto tune” on his tracks back when I first starred because that was considered “how you do it these days” but….. I always ended up taking it off cuz he never needed it, Now I don’t even pull it up, Bret really has a super solid and consistent voice, but the passion he delivers in this track is really a cut above. And Finally, the stellar performance from Bret’s youngest daughter Jorja. What a joy working with her.